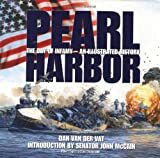 From the creators of The Discovery of the Titanic comes THE illustrated publishing event of 2001 releasing with THE movie event of 2001 Franklin Delano Roosevelt proclaimed it "A day that will live in infamy"-December 7, 1941, the one date from the Second World War that almost every American knows by heart. Pearl Harbor is the definitive illustrated account of that momentous day. No other battle of the Pacific War was better documented in photographs than was Pearl Harbor. Everyone has seen some of these images, but few are aware of just how many there are-including many that have never been published. Official government photographers were busy that morning, but so were countless service personnel and shocked civilians. Even the Japanese navy photographed their preparations and the launch of the attack fleet. The visual record of the day includes not just stunning black-and-white shots but also vivid color photos showing the American fleet under attack and burning. 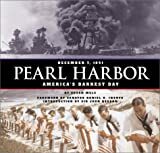 Pearl Harbor makes lavish use of these historical photos to vividly re-create what it felt like to be there during every key moment of the battle. A compelling narrative by noted naval historian Dan Van der Vat explains the causes and background of the attack. Moving first-person reminiscences of persons who were there-Japanese and Americans, military and civilians, adults and children-give the pictures even greater immediacy.